Which are the most popular courses offered by Drinq Barmen & Academy? Also, what infrastructure do you have for offering best in class training ? At Drinq Barmen & Academy, we have a variety of courses for different purposes – one-day Bartending Course; Hobby/Passion Course; Professional Bartending Course; and Bartender Upgrade. While all our courses are quite informative, our most popular course is Professional Bartending Course, as it is a government certified professional bartending course which provides a student with 360 degrees knowledge about bartending along with on-the-job training. This programme also offers placements post the completion of the course. Drinq Academy has the largest flair room in the industry with state of the art matting and projection screen for ten students at a time. For mixology we have sufficient space and equipment to train up to 20 students per batch. Your views on the skills gap among bartending professionals and how your courses can bridge the same ? Bartending is definitely a skill based profession, one which requires equal parts of knowledge and experience. The demand for professional bartenders has always been high. The recent rise in the number of restaurant and bar establishments in India, the demand for bartenders has increased multifold. These establishments hire or promote leading food-servers and waiters as bartenders, simply because they have basic knowledge of alcohol. This is where Drinq Academy comes into the picture. Such individuals can learn more and acquire skills that are required to be a professional bartender. We also train individuals differently which may be suitable to their outlet style and theme. 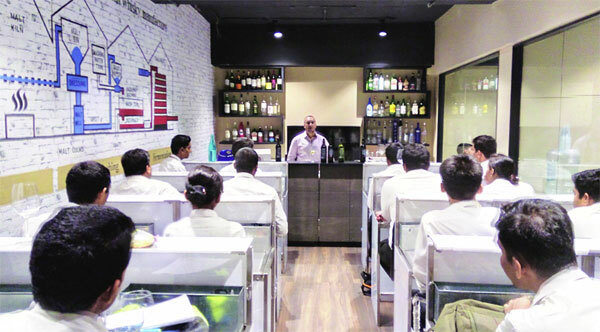 How has the image of bartending profession changed over the years in India? Unlike other profession options in the hotel industry, bartending has never been perceived as a strong career option as it has always been in the shadows of the food & beverage service department. For a matter of fact, hotel management students do not opt for this career, simply based on the assumption that there is no career growth. This is because of the lack of awareness about this sector in the Indian hospitality industry. However, due to recent trends and new innovations observed behind the bar all over the world, Indians have started venturing into bartending as it is not only about make a peg anymore, but creating an experience. For instance, before the trends were observed, probably the only criteria of hiring a bartender was if you know how to mix whiskey with a mixer, whereas now bartenders are hired based on their knowledge of spirits and skills behind the bar. Do you see more youngsters keen to take up this profession ? What is their background ? We have students of all age-groups who come to learn mixology at the academy. While few are working adults who come purely to acquire a hobby, there are various students from hospitality colleges who study with us simultaneously while they complete their degree. Another lot of students that we take in are the ones who have not advanced in their education due to various reasons. In my opinion, bartending is the only field where the focus on certification and qualification is less and demand for skill is higher. Many youngsters are keen to take up this profession as it is trending, also challenging but more importantly it evokes innovation. What kind of career progression can this profession promise ? Entering the hospitality industry with bartending expertise can prove to be a big perk. An individual would begin working with and assisting the bartender behind the bar. With complete passion and the right effort back, one can grow and become a bar supervisor, then bar manager and so on. Also, learning food service techniques, inventory management, event management, customer relations and other cross training modules in a hotel, the same individual could grow up to be a food & beverage director some day with a scope of becoming a general manager of a hotel someday. This was only about hotels, individuals could work together with restaurants becoming bar manager for one outlet and bar consultant/director for various different restaurants or a chain of restaurants. Another option is starting your own business. I started working with bartenders and then moved on to freelance and eventually opened my own bartending organisation called The Flaming Trio, which caters to all types of clientele be it a house party or a celebrity wedding. What are the key skills of a great bartender ? In life, you have to be passionate in whatever you do and this remains true in bartending as well. I personally think a bartender needs to have a code that he/she should follow. Knowledgeable about spirit: Know what to mix and how to mix, this is very important, knowing mixology just isn’t enough. Knowing spirits and what goes well with what is absolutely important. If a guest doesn’t like the set menu and wants something different, knowledge from the back of their mind will enable the bartender to make a new concoction. 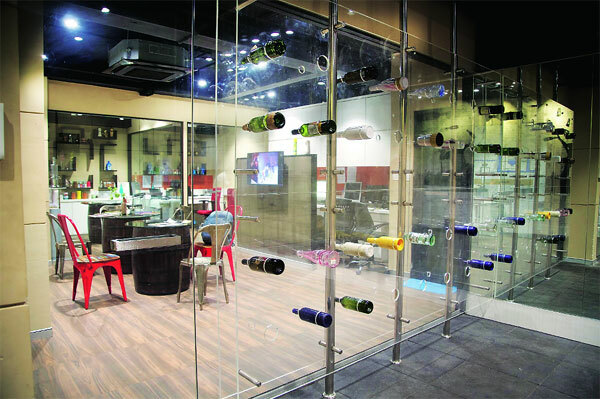 Ability to manage inventory: Each client entrusts a bartender with the responsibility of alcohol, which is expensive. A great bartender should know how to utilise alcohol efficiently and not waste any. Ethics behind the bar: A bartender should make sure that they do not consume alcohol or store it for them as the bartender is on the job. Cleanliness and maintenance of the bar: Keeping the bar clean and maintaining its visual appearance is very important. Just as we keep our desks clean while working even a bartender should ensure that their work station is clean and visually appealing at all times. Keeping up with the trend/creating a trend: Nowadays, everyone wants to experience something new. Knowing what is going on around you, keeping up to various innovative trends or information is very important as it will enable a bartender to be unique and be at their best! These are important rules in the bartending industry. If one maintains such a code then nothing can stop them from being a great bartender. Brief information about your faculty / trainers. Our faculty at Drinq Academy are experienced professionals in field of bartending for over 10 years, including experience on cruise liners and with prominent names in the hotel industry. I myself have travelled to more than 60 countries for bartending and I am the only bartender in India who is certified from European Bartending School for Mixology. I mention this because, I use all the training and knowledge I get by travelling and working and make the same knowledge accessible at Drinq as not everyone has access to it this early in their life. One of our flair-bartending trainers, Kiran is among the top 5 flair bartenders in our country. What kind of placement assistance do you give to your students ? We do offer placement assistance to students. We have successfully placed our students at various properties of cruise liners, five-star hotels, premium-night clubs and lounges. Other than in India, we also assist with placements in countries such as United States, New Zealand and Europe. In the new future what interesting opportunities do you foresee for the students ? Bartending industry is well connected with weddings, corporate events, hotels, restaurants, pubs and various other hospitality and events industry. Since these industries aren’t going anywhere for sure, the scope of bartending industry is immensely huge. Especially in India, it has just begun and the industry will continue to grow. Considering the bartending industry is untapped, yet in terms of learning and direct job opportunities, with the right skill and effort these students can keep going ahead. Any other important factor you would like to mention regarding your academy ? At Drinq, we do a couple of things such as teaching Molecular Mixology, Flair Bartending, etc. One very important thing we do is assist a lot of students who do not have a great financial background. Students who cannot afford to study with us, we enroll them, teach them and place them in properties and have a special EMI scheme where they can pay their fees while they work. We strive to create an opportunity for everyone whenever we can because Drinq Barmen & Academy firmly believes in the growth of an individual by creating an opportunity for them.